Oesophagus rupture. 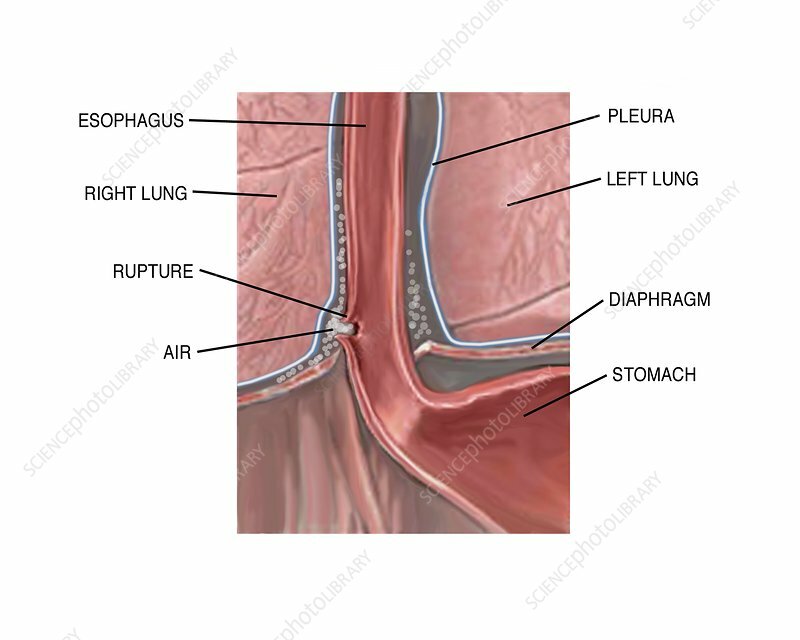 Labelled artwork of a rupture to the distal (lower) end of the oesophagus (gullet), the tube down which food and drink passes to the stomach. The injury here is a rupture, causing air to leak into the mediastinum area (the area between the lungs). This condition (also known as Boerhaave syndrome) causes severe pain and vomiting, and is potentially fatal as infection and fever develop. Surgery is required to repair the perforated oesophagus, and antibiotics to treat infections.